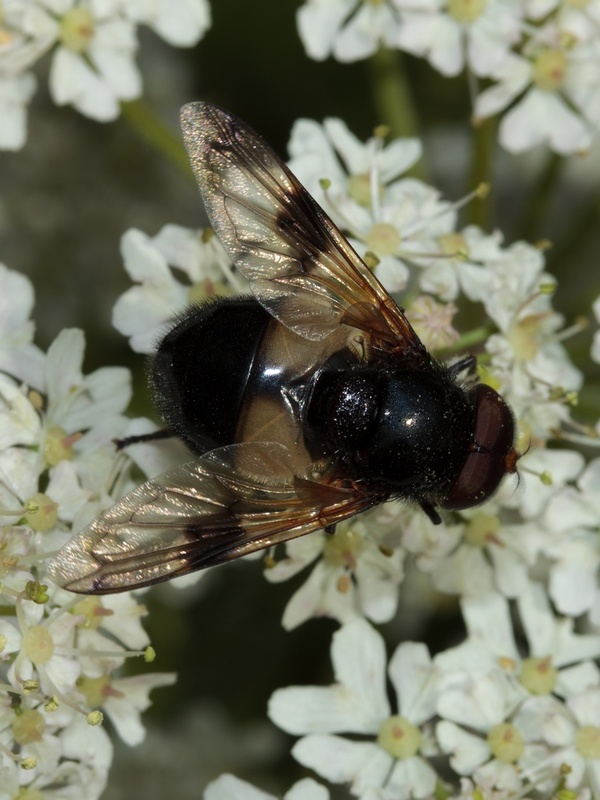 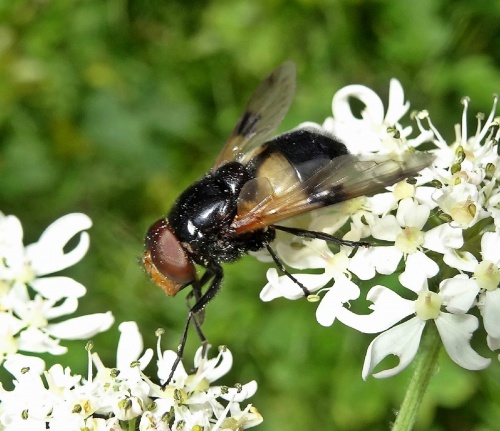 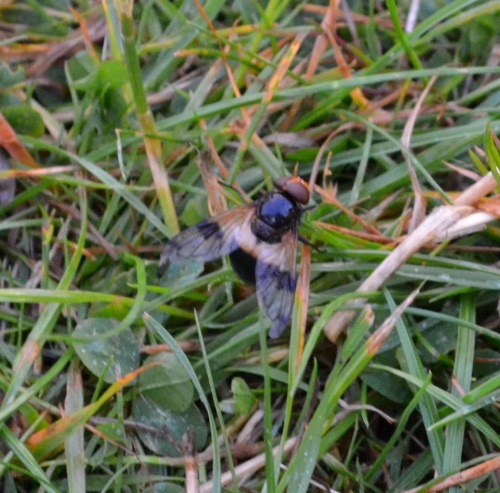 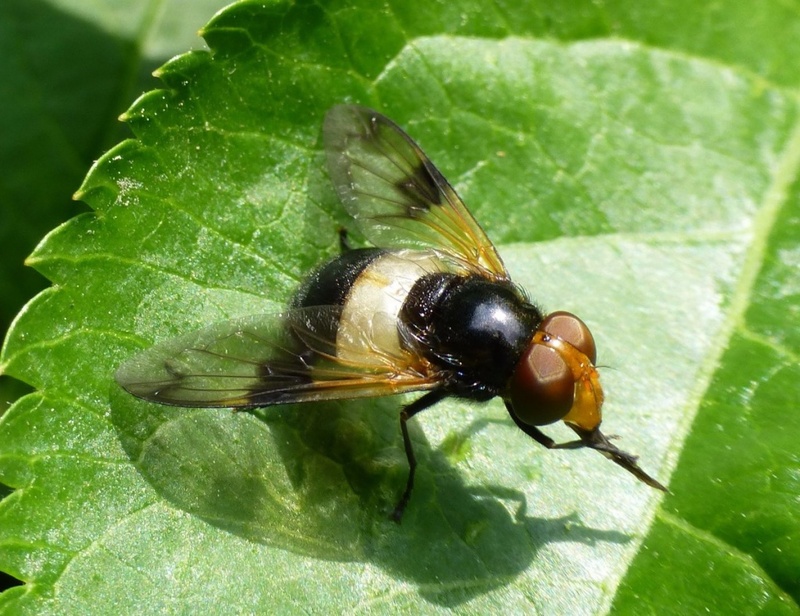 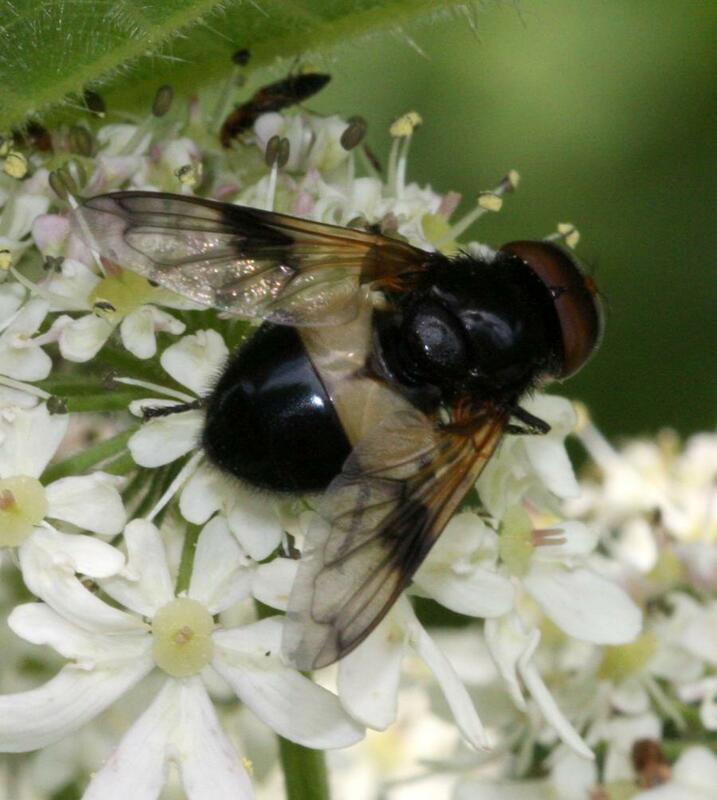 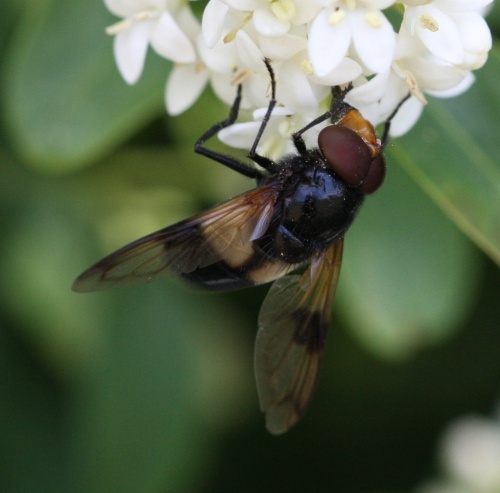 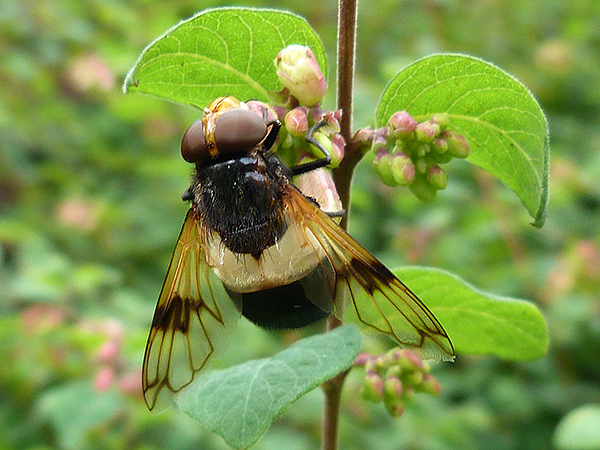 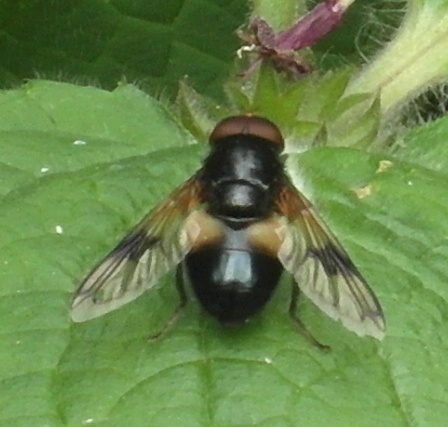 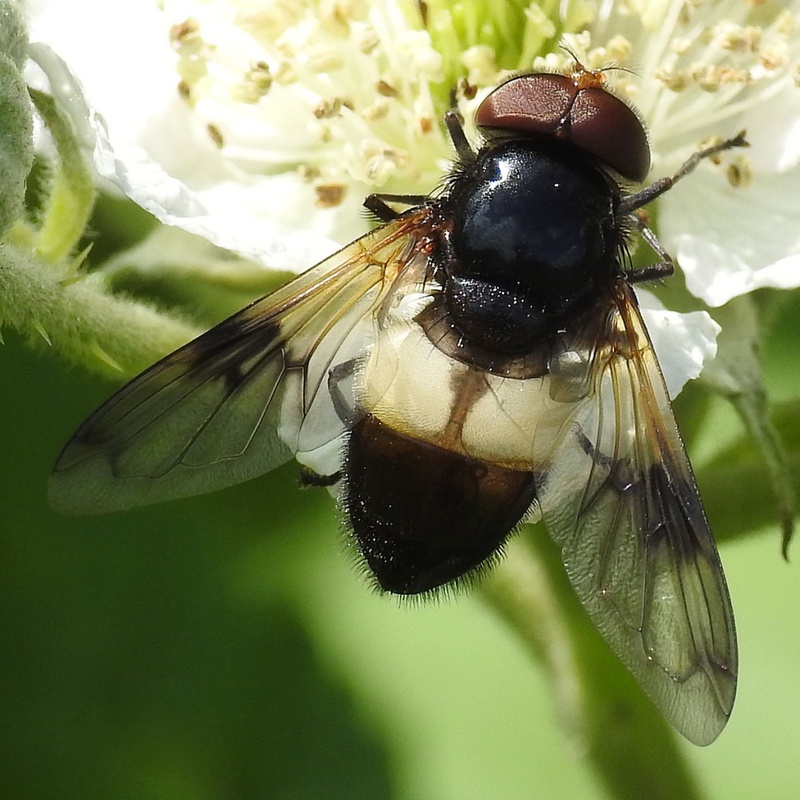 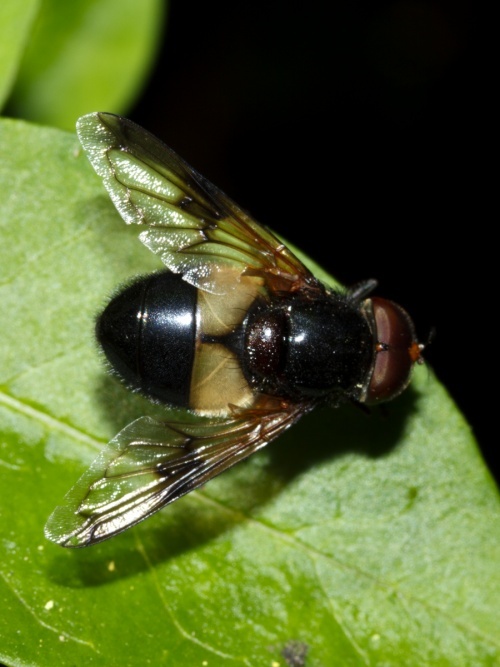 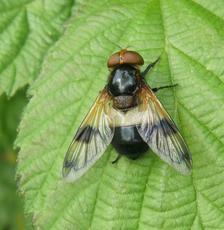 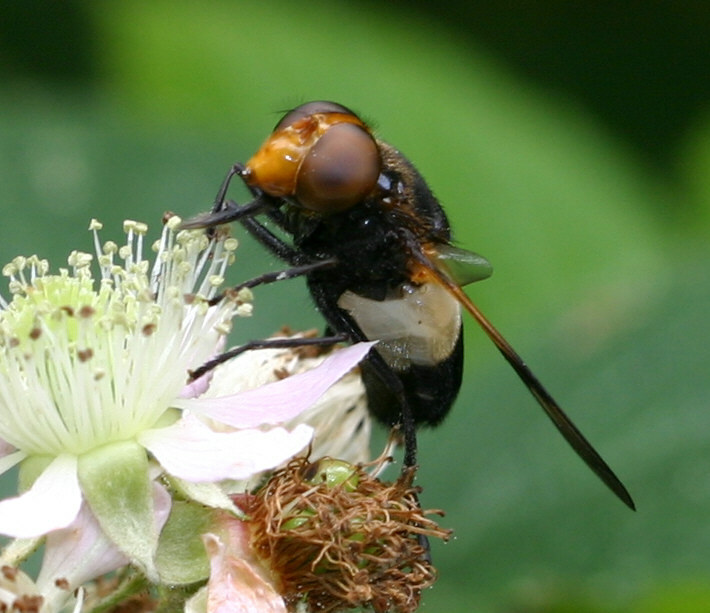 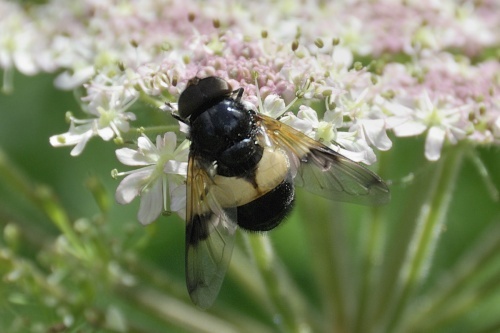 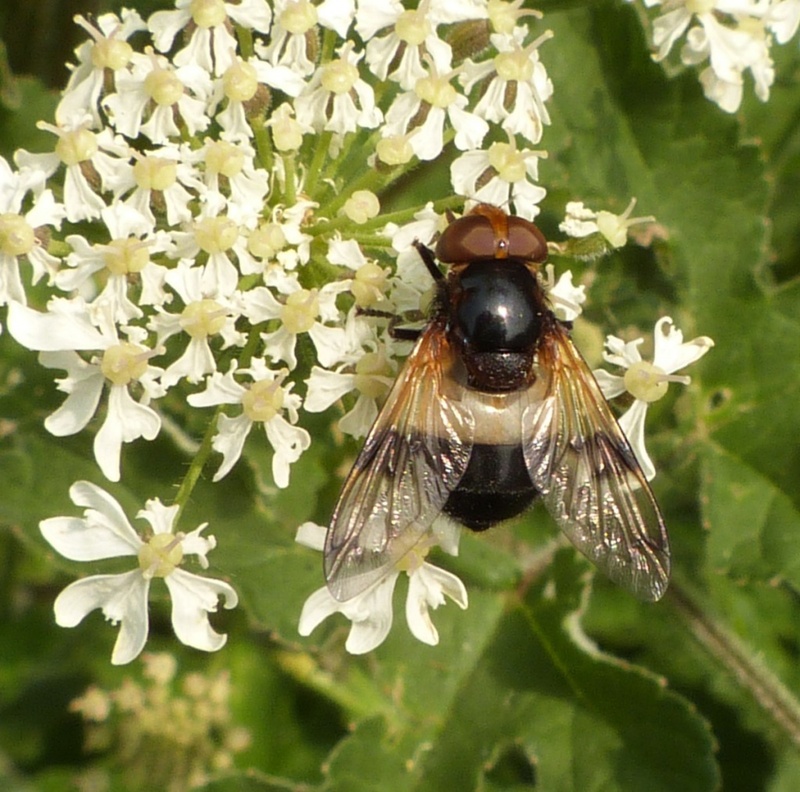 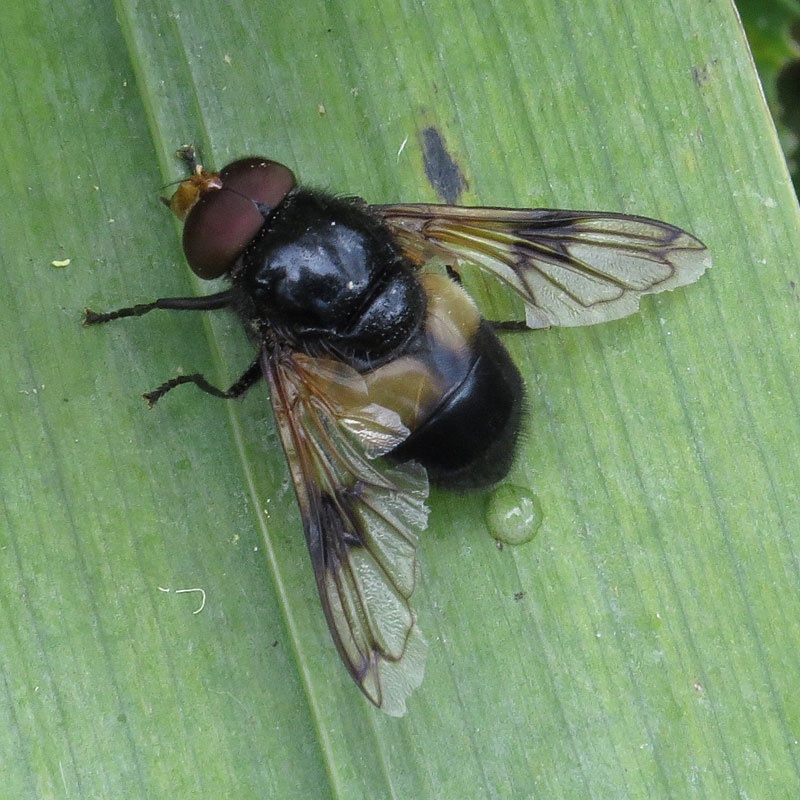 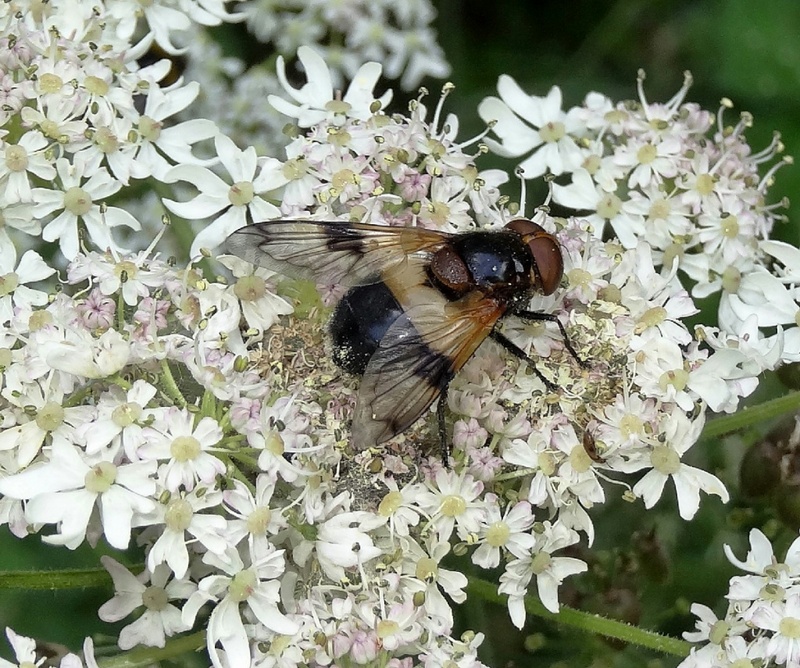 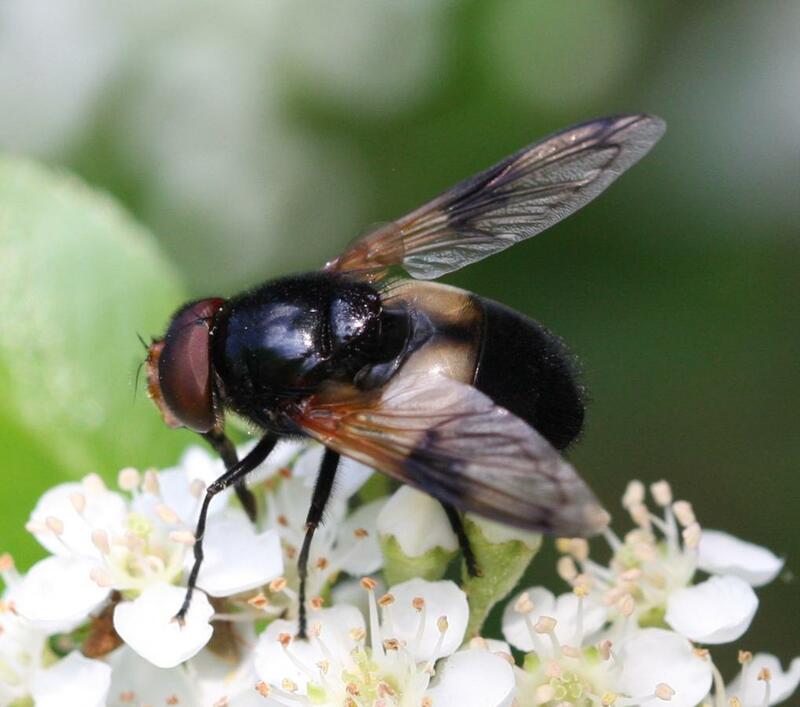 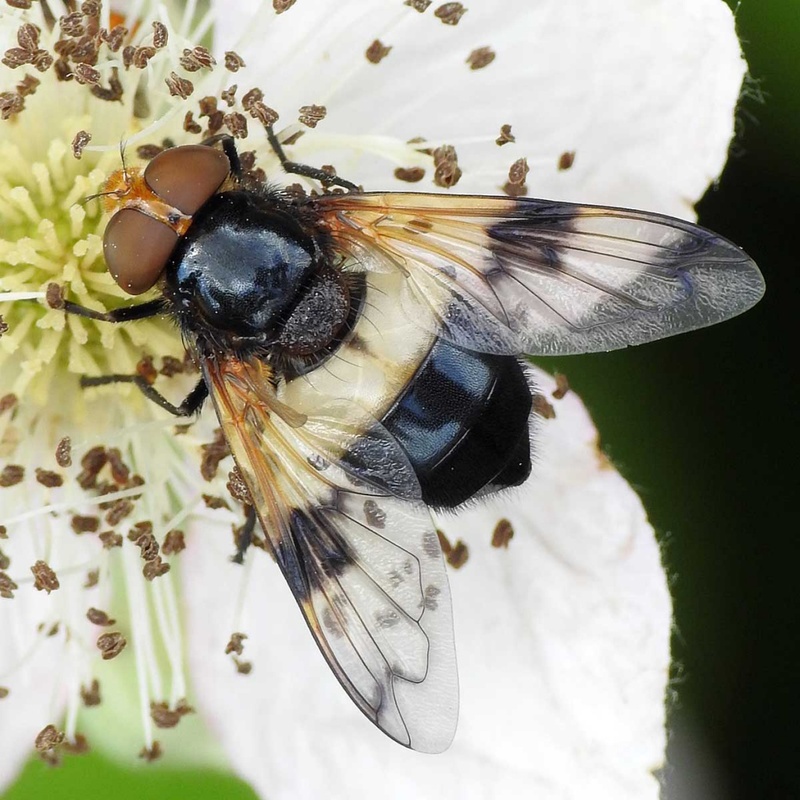 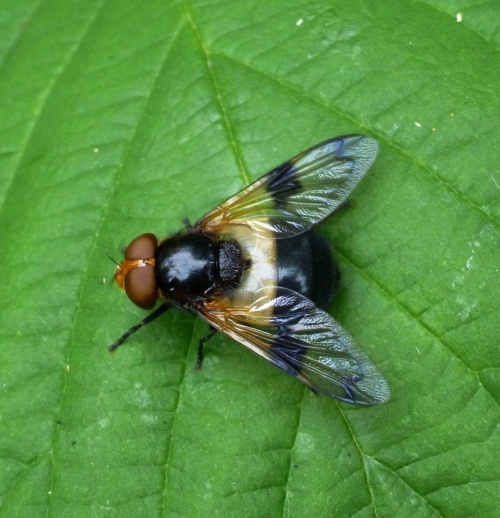 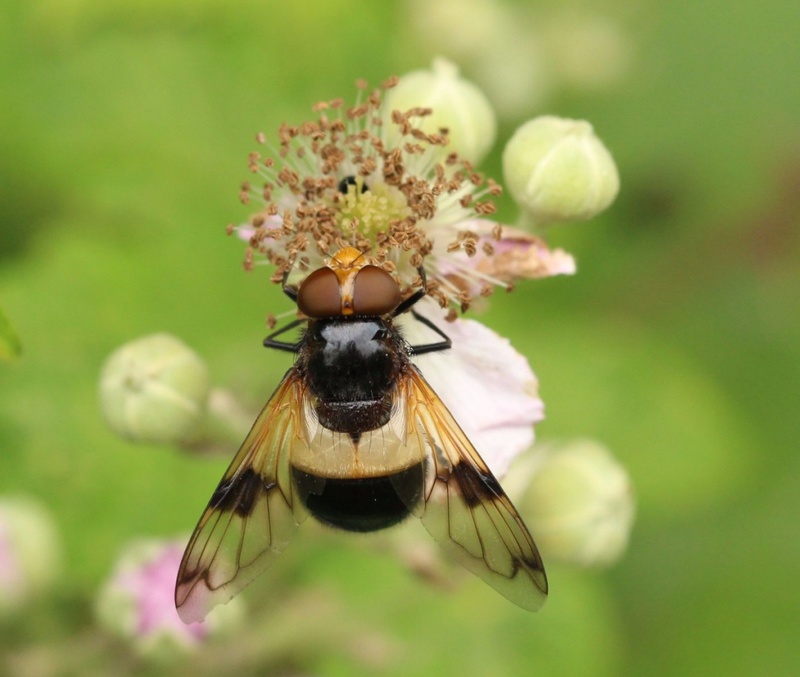 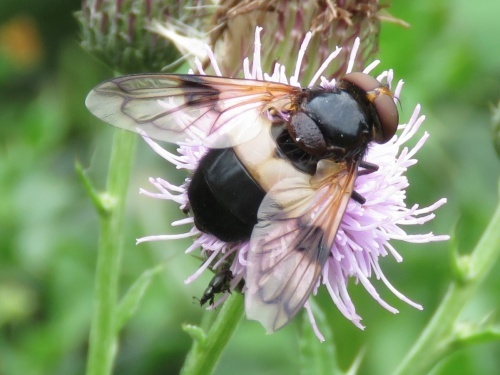 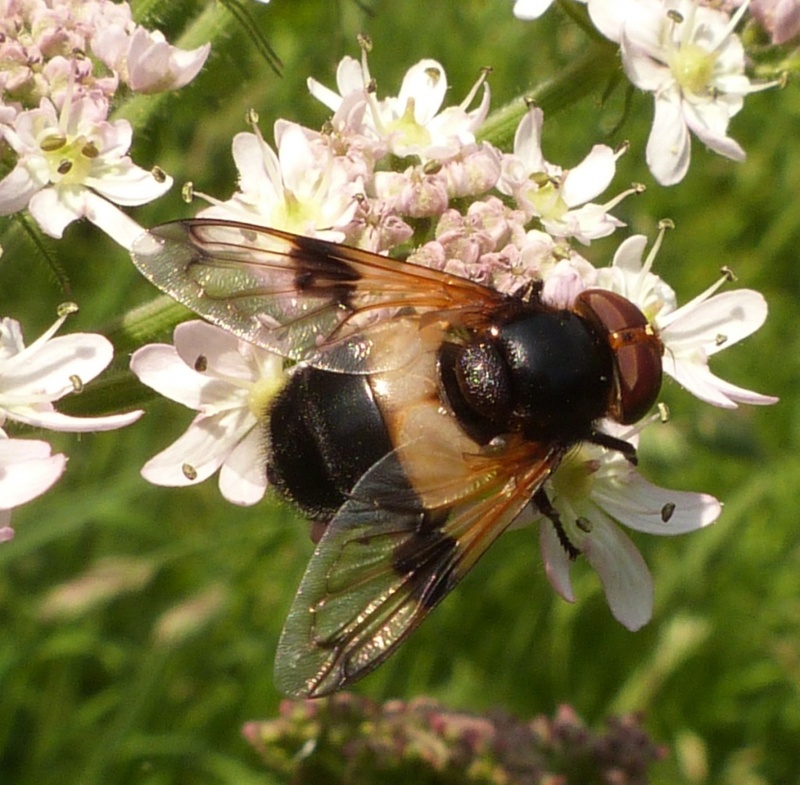 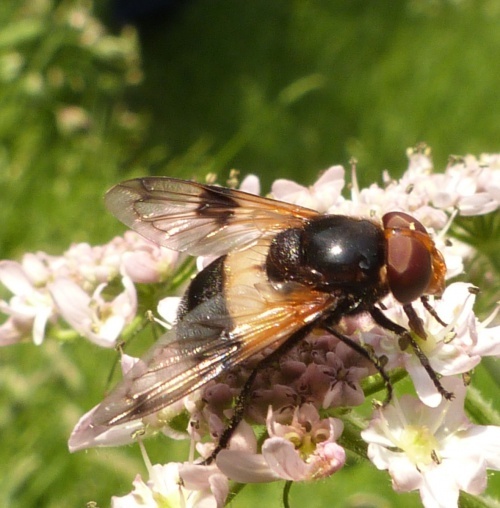 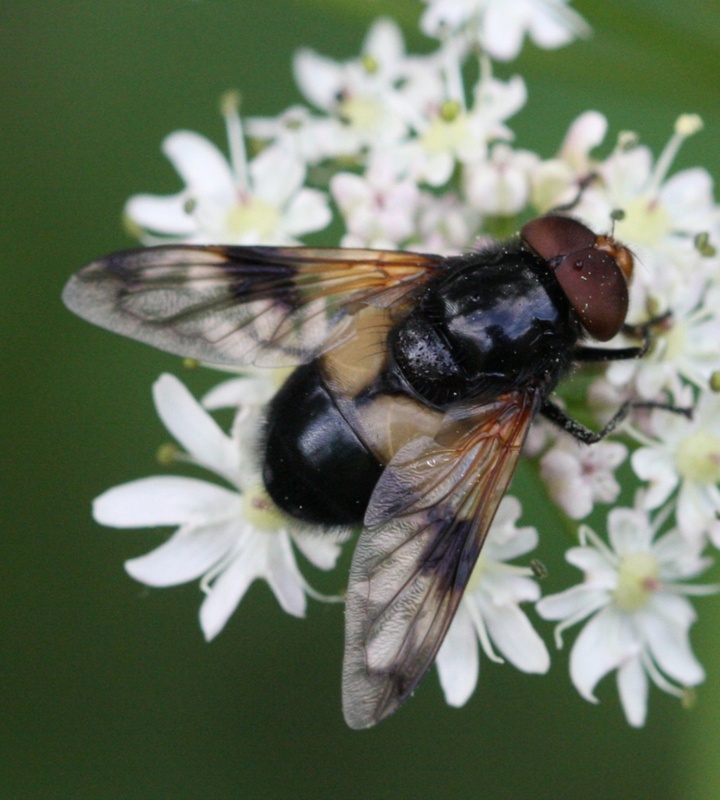 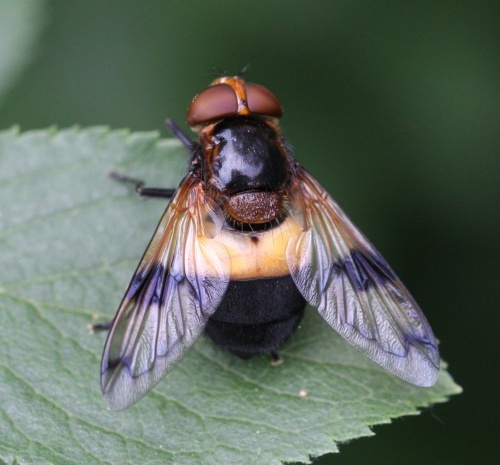 Sometimes called the Pellucid Hoverfly, this is one of the largest flies in Britain. It has a striking ivory-white band across its middle and large dark spots on its wings. Well wooded hedgerows, woods and copses where it favours Bramble flowers and umbellifers. 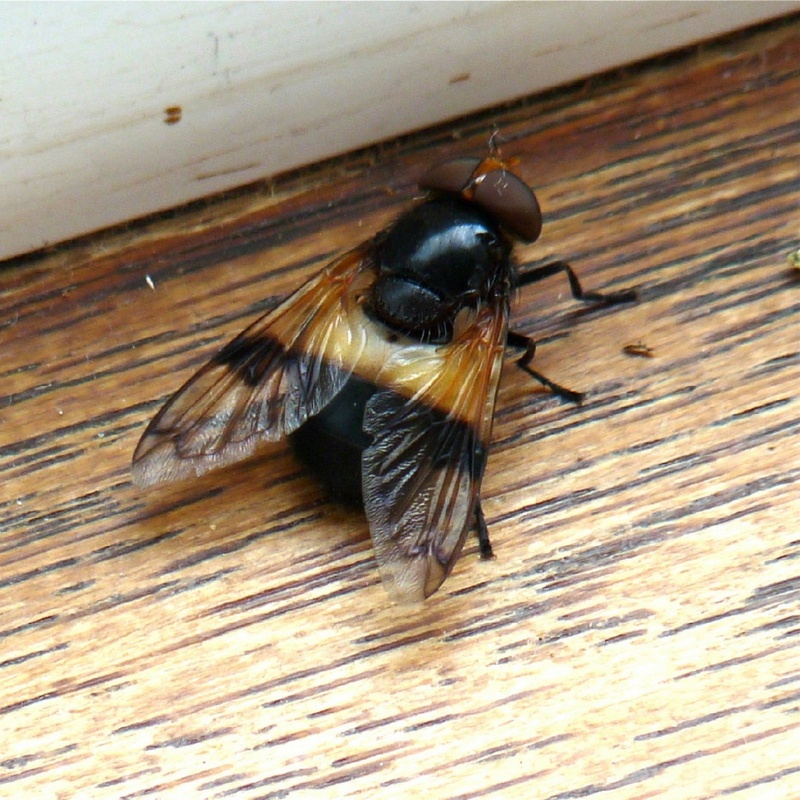 May to October peaking June and July. 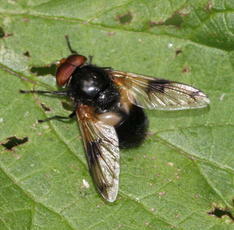 Its larvae live in the nests of social wasps and bumblebees, eating waste products and the bee larvae.